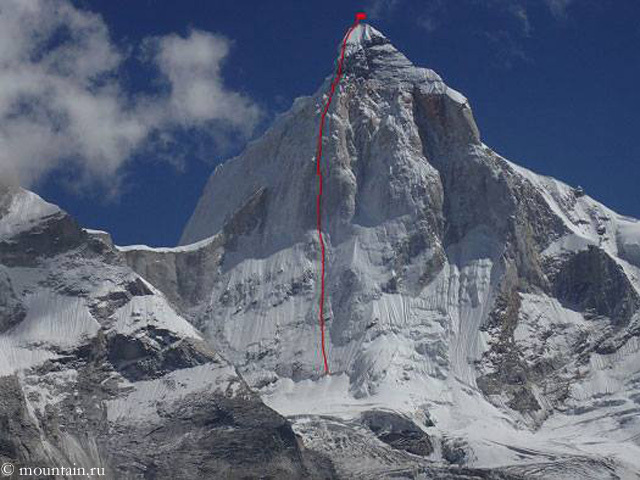 Thus Russians Sergey Nilov, Dmitry Grigoriev and Dmitry Golovchenko succeeded a new route via the North Face of the 6,904-meter-high Thalay Sagar in the Indian Himalayas, which really deserves the description “direttissima”. Not in such a straight line, but not less spectacular, was the first ascent, which – as reported – the British Paul Ramsden and Nick Bullock succeeded in the North Face of Nyainqentangla Southeast (7,046 meters) in Tibet. 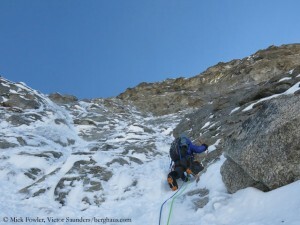 British ‘old masters’ Mick Fowler (60 years old) and Victor Saunders (aged 66) also demonstrated that they haven’t forgotten anything: their first ascent of the North Buttress of the 6100-meter-high Sersank in North India will – like the above-mentioned successes –probably be on the shortlist for the next Piolet d’Or, the “Oscar of the mountaineers”. 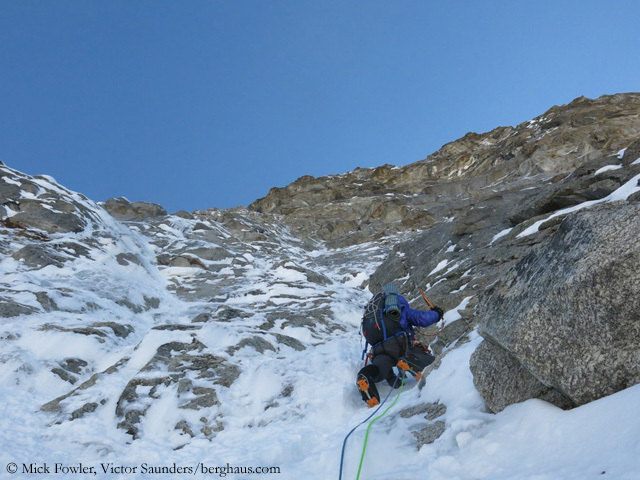 This also applies to the pioneering climb of German Ines Papert and Slovenian Luka Lindic, who – as reported – completed an often attempted route through the difficult Southeast Face of the 5842-meter-high Kyzyl Asker in the Tian Shan mountains. 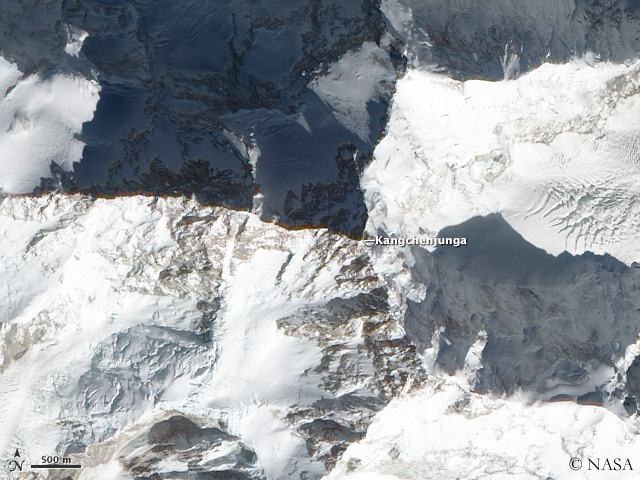 Of course, there are still unsolved problems on eight-thousanders too, such as the direct Makalu West Face or the “Phantasy Ridge” on the very rarely attempted east side of Mount Everest, the Kangchung Face. But the slightly lower mountains have some undeniable advantages: Even more virgin walls and ridges are still waiting there. 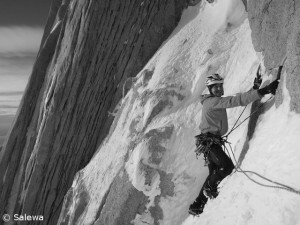 In addition, climbers need less time to acclimatize, making the expeditions shorter. Compared with eight-thousanders, the air is thicker so that more extreme climbing is possible. And, last but not least, the mountaineers can experience lonesomeness on these often hidden mountains and feel more easily like real adventurers. Therefore, a previous look at the digital mountain world is worthwhile. The worst fears turned into sad certainty. 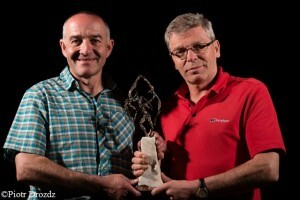 The Austrian climber Gerhard called “Gerry” Fiegl will not return. 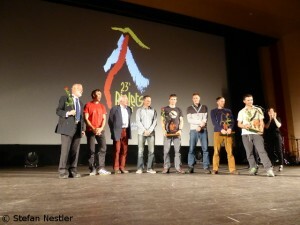 Reiner Gerstner, company spokesman for the outdoor sporting goods manufacturer Salewa, informed me, that the search for the missing 27-year-old was abandoned: “According to information from Nepal there is no longer any hope to find Gerry still alive.